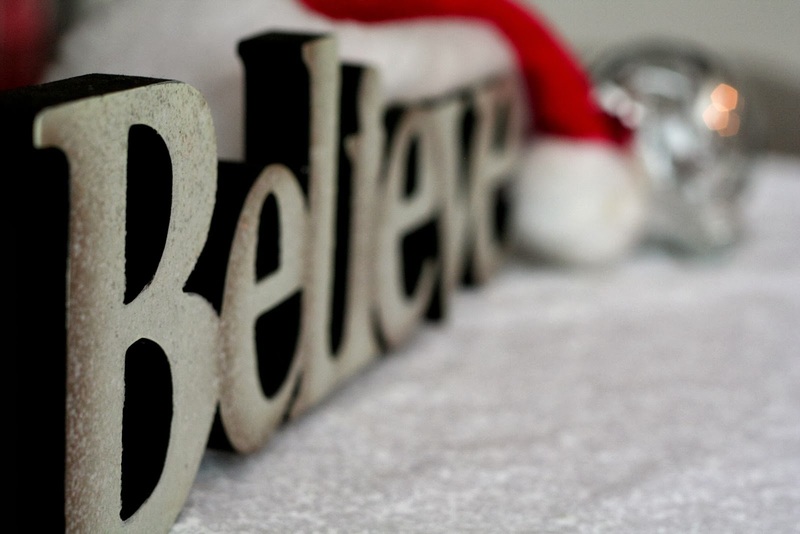 Do you believe in Santa or do you know the truth, but still believe? My son was watching The Polar Express while I wrote. I know the truth, but I choose to believe in the magic, I answered him. Me too, he smiled. We see what we believe, not the other way around. If we believe the world is corrupt, dangerous, damaged and full of anger, we will see it. If we believe our relationships are doomed to fail, we will experience that. Our belief that our days are complicated, tough and empty of purpose will be what we live through. The same is true for our belief that love, in any and all of its forms, can prevail. We see charity, union, peaceful demonstrations, communion, silent and decided change, strength in communities, shifts in personal and global awareness, courage and determination when we believe in goodness. I read the news. I know what is going on in the world. I also know that there are many unreported stories of people who are doing wonderful things, transforming in small, but significant ways. This is how change begins. It does not make front page news, but it makes a difference. And it will make a bigger difference when more of us see the power in our light, in our passion for a better world, in our imagination, in our coming together, in our love for ourselves, our families, our friends, our lovers and our communities, in our recognizing our divine nature.